Up at 6:00 am and the sun is already coming up over the mountains. By 6:45 am we are on our way to Dante’s View, via Death Valley Junction which will save us 36 miles, overlooking Badwater Basin. It was 70 degrees when we woke and an hour and a half later climbed to 80. 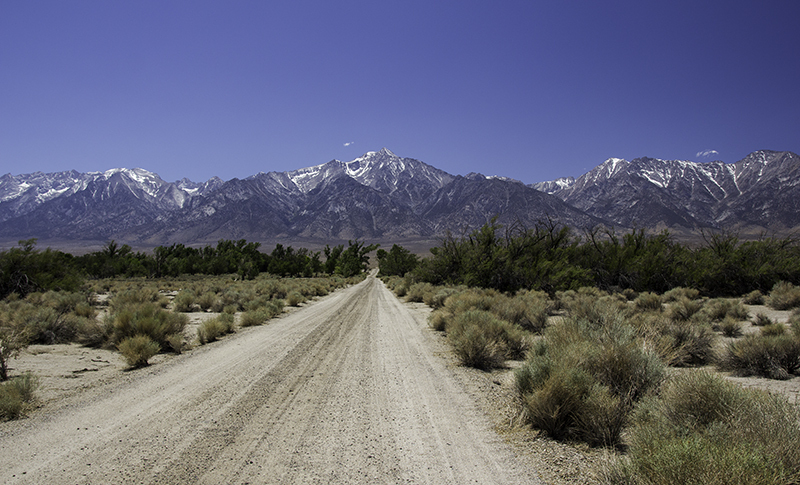 I did a short walk out to get a different view of the Panamint Range – described in 1880 as an army of caterpillars – while my dad helped a French man with a bloody nose. Today’s temperature will be deceiving with the breeze – reaching 103 by 10:30 am. 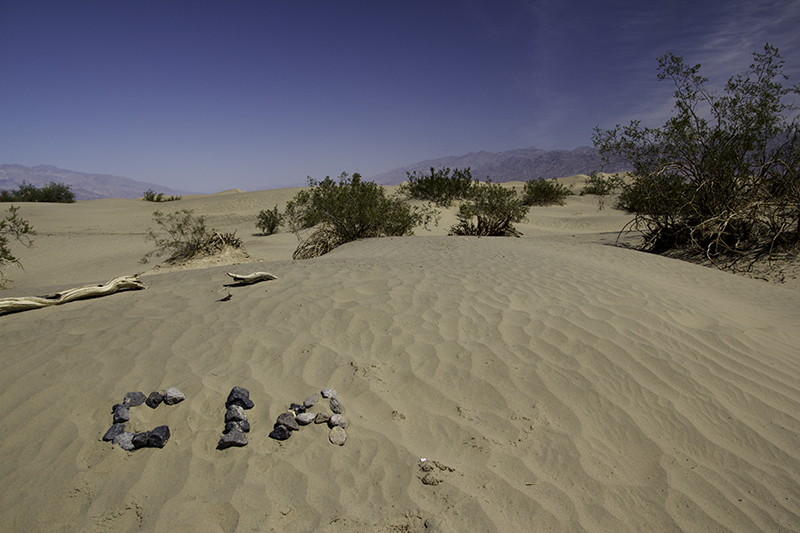 We stop at Furnace Creek for water and ice and drink half the gallon – it is warm outside. Riding in the car I think of my love of Caleb and nature and the beauty that brings to wherever we may be, and I wish to be in Bahrain with him so that he could see it through my eyes. I appreciate the opportunities I have to love and travel and shed some tears for those not able to realize their dreams and find true meanings in such simplicity. My dad simply shares that he is thinking about love through song and nature and his wife. Life is a tune that we all have to find for ourselves and interpret the circumstances that arise out of nothing – this place is beautiful because it is seen through love – otherwise it is just another unforgiving desert that is dry, hot, and void of much life. I agree that things are better when shared, but this valley and its mountains have lots to offer the lone traveler as well. We stop at the Mesquite Flat Sand Dunes and where there is green plant life (sign of water) and shade there are signs of small animal tracks. We enjoy watching the wind blow the sand sometimes slightly and other times with gusto reshaping the dunes incrementally. Rocks and sticks get buried and uncovered. Foot prints are soon just a memory. I find a desiccant that someone was thoughtful enough to leave behind in the off-chance there was a slight possibility of capturing any moisture. Humorous as it may be I will be taking it with me as nature is just fine with controlling its humidity levels. Just outside the park we see a starving coyote. Without hesitation I think of the treats we gave to the dog in northern Arizona and grab the bag of molasses cookies. The coyote, upon noticing we have turned the car around, approaches but keeps a distance. I throw a cookie to him while my dad takes pictures with his zoom lens. I continue to toss them one at a time and for each one he looks at us, gets close to grab it, and then goes to the other side of the rocks to eat it. Later I will think of the eggs or water we could’ve given him. 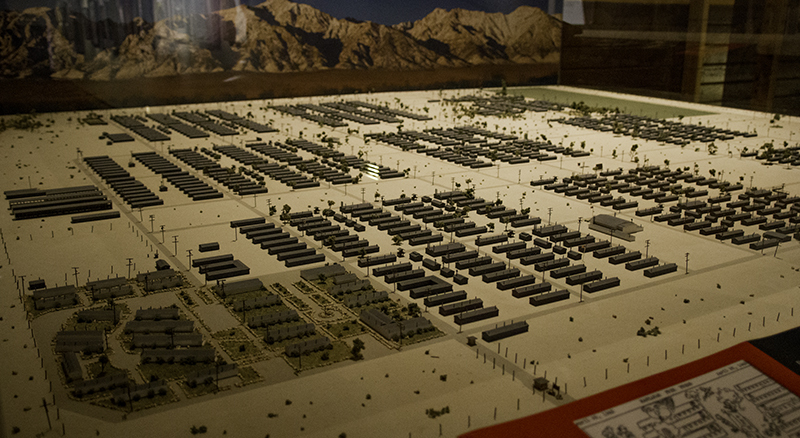 My dad is hesitant to stop at the Manzanar War Relocation Center now a National Historic Site. It’s where the Americans placed the Japanese-Americans during WWII regardless of the loss of their homes, farms, personal property and privacy, and honor and respect – it’s a sad place, but he took me since I have yet to see it for myself. We both agree the view is beautiful and should be enjoyed in happier settings. Looking through the museum I see a model of the grounds and it is larger than I realized. There were mostly barracks, but they had sports fields and gardens, a galley and guard shacks, a school and hospital too. But they lacked privacy – many went from farm homes to partitioned rooms, took showers with strangers, and waited to use the latrine with seats only inches apart from each other. My dad asks about the relevance of a comparison of Pearl Harbor and 9-11. The ranger is happy to tell us that the Japanese had more sympathy towards the Muslims in ensuring that they weren’t put through the same thing 59 years later that they endured. I sympathize with those that were hated against because of a crime committed by someone with the same religion or ethnicity, but could never contemplate locking them behind barbed wire or bars to keep them safe – it’s better to teach tolerance and love – though some may think those are just hippy thoughts. 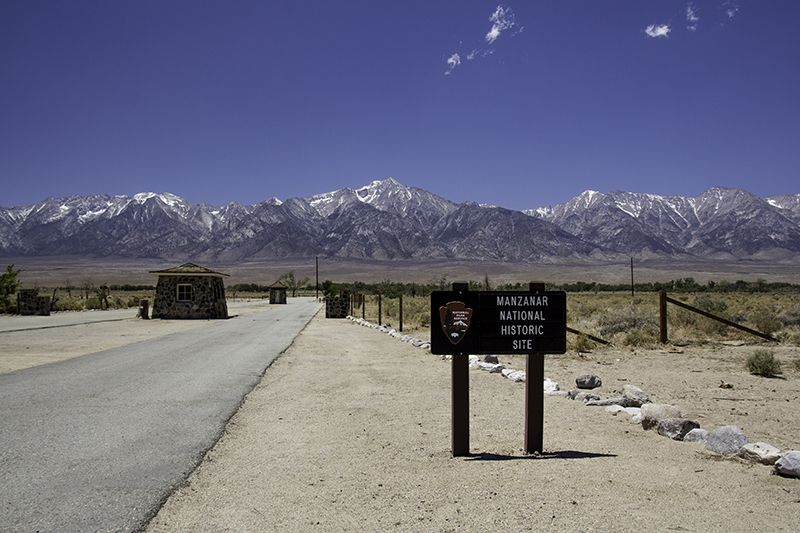 The park is over 800 acres and a 3.2 mile road is offered to help navigate when visit time is short. The 44th annual pilgrimage was a few days ago and involves the decorating of the Soul Consoling Tower (monument in the cemetery) with origami birds, flowers, and other mementos that may have blown away in the high winds. There is still a heavy rainbow-colored bundle of origami cranes tied to a post upon our arrival with some flowers left to dry in the sun. I’m grateful that parks like this one are doing their part to ensure that the bad parts of history don’t repeat themselves by reminding new generations about the pain of their ancestors. Next stop…Erick Schat’s Bakkery in Bishop where Dad will buy a coffee, a sweet bun covered in nuts, and a loaf of German 7-grain bread. Being here reminds me of when Caleb and I stopped here and got some bread and a sandwich. This is also where we stopped at the White Mountain Ranger Station and the girl behind the desk told Caleb, “You like hiking…ya, we don’t have that here.” Perhaps she thought we meant in the city, not thinking about the valley between mountain ranges (hiking) that she calls home. Tioga Pass (road through Yosemite) is open. We stop in Lee Vining where I inquire about the road conditions in a café and at the Mono Lake Committee Info Center. Both tell me that it’s been raining awhile and that if it snows the road will close again…even if we are on it. I am so glad that we were able to drive this road. We encountered rain, snow, and freezing temperatures – 32 degrees after a 103 degree morning – I love California! It’s sunny on the other side and we are able to stop for pictures of waterfalls, trees, reflections, deer, mountains, a tunnel, a bridge, and deer. We won’t leave the park until dark. 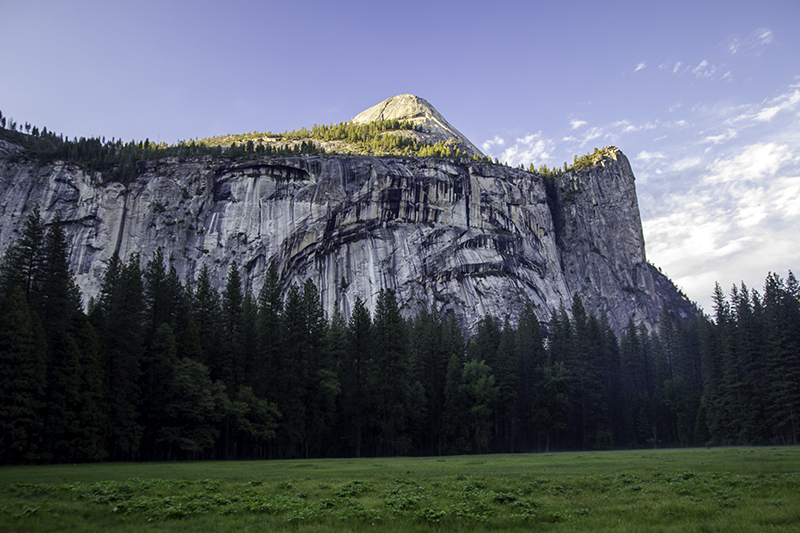 With the sunshine my dad took me into Yosemite Valley. A guy suggested that we visit Glacier Point, but we won’t have time on this trip. The rooms were a little pricy for our budget in Mariposa -$130, so we continue to Merced where we can sleep for half the price. We had strawberries for breakfast, trail-mix throughout the day, and I will eat half a bag of Hobnobs while emailing Caleb. Today was great, but it was also a detour. My dad had planned to go to Virginia City, a small town that once was booming while silver was being mined, in Nevada. 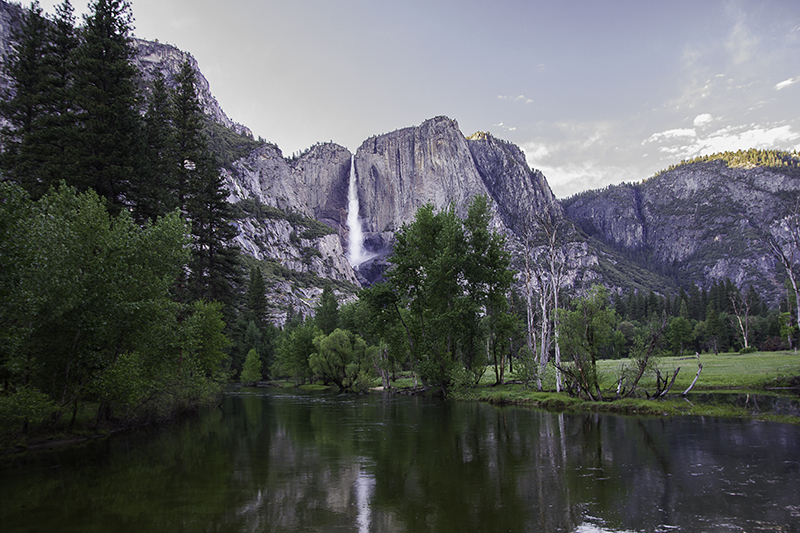 There was a road closure after Bridgeport and we would have had to detour further east into Nevada and my dad had reservations for somewhere further west, so I was able to get a glimpse of what Yosemite has to offer – and it is more than just Half Dome. 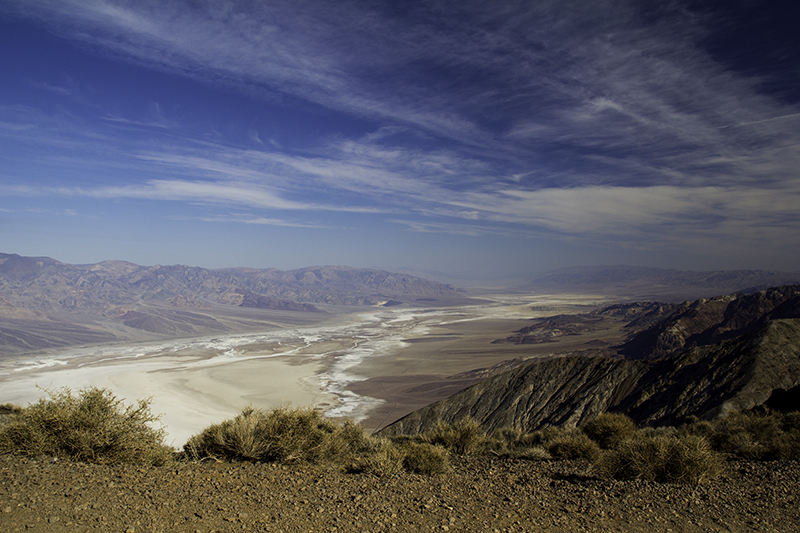 The park has plenty of hikes offering spectacular views. 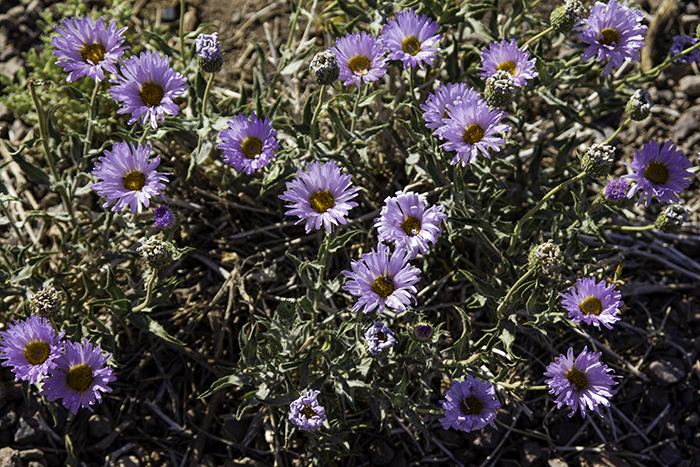 This entry was posted in Animals, Art, Education, Family, Food, History, Military, People, Photography, Places, Plants, Travel, Water and tagged California, hotel, John Wise, museum, national parks, nature, weather. Bookmark the permalink. so you STILL didnt see/photograph Trona ??? 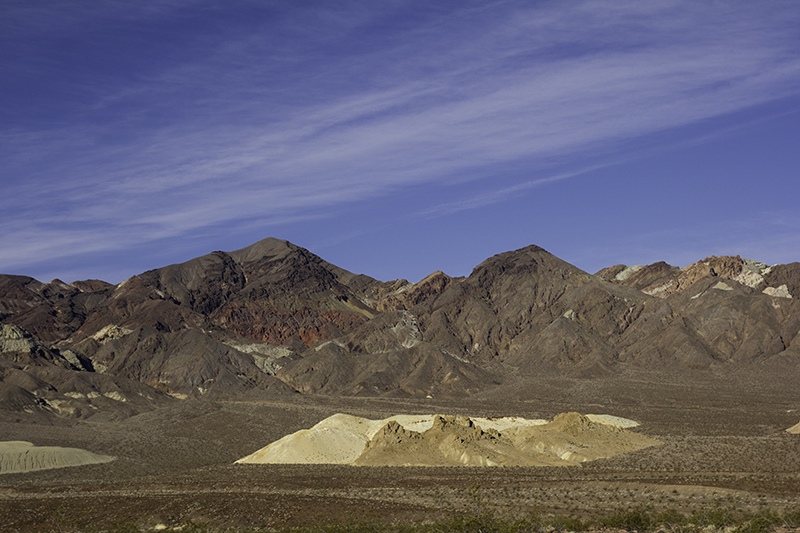 It is located on the other side of Death Valley…seems I have yet another reason to return to the area.